Pizzeria Plaza is expanding due to the business thriving. Their pizza has proved to be very popular with tourists and locals alike. Both collection and delivery. 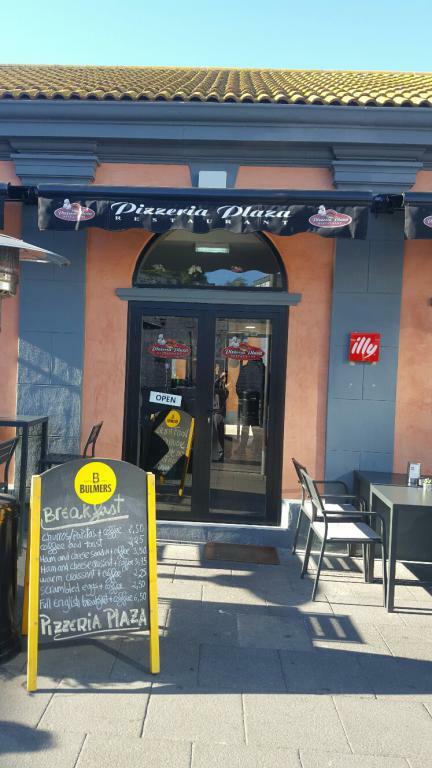 Pizzeria Plaza is located at Market Place, and is ideally located near the business hub of Gibraltar and tourist areas. Pizzeria Plaza aim to offer a better service, value for money and diverse into a breakfast menu. EU Funding helped with the purchase of Kitchen Equipment, Building Works, CCTV & EPOS Equipment. More information on is available on the Pizzeria Plaza's Website.